Female leaders from Western Sahara stated that they are in solidarity with DTK Co-chair and HDP Hakkari MP Leyla Guven who is on day 100 of her hunger strike today, and demanded an immediate end to the isolation imposed upon Ocalan. The first of the activities saw the participation of 80 women from different collectives in the autonomous center Rete Jin Sabana, where an alternative economy model was developed. 20 female MPs from various states in Germany demand that Leyla Guven’s demand be heeded. The MPs issued a joint statement and called on the Federal Government to “pressure Turkey”. Internationalist women who have been marching for 3 days to condemn the international plot wrote a letter to Leyla Guven, who has been on a hunger strike for 99 days. 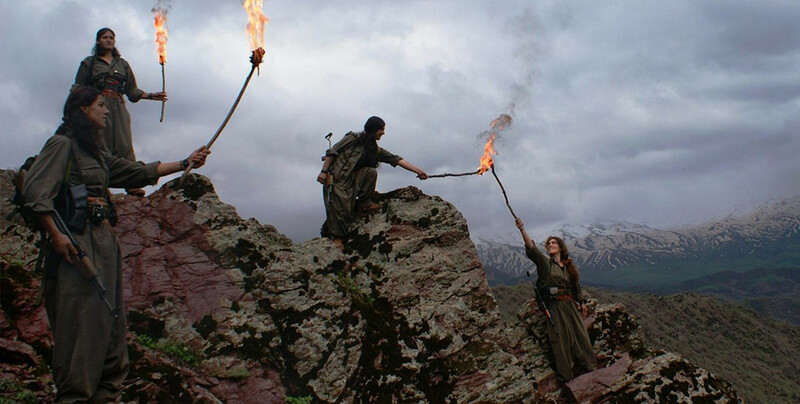 The letter stressed that they consider Guven to be the leader of freedom and change. Women from Shehba who were left into the darkness of ISIS ruling after the Baath regime, are now creating a new life after their region was liberated from ISIS. The women are now working as part of the Women’s Council . Feminist writer Francesca Gargallo sent a solidarity message to Leyla Guven and said she is on “a glorious act of courage”. 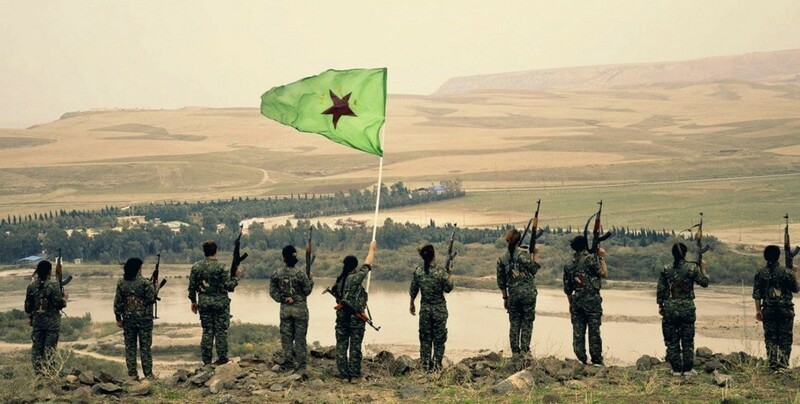 The camp was 4 days long and topics like Jineolojî, Democratic Confederalism and the status and role of women in this system and in comparison to the actual system in relation to the mentality, organization and practice, were exposed. "The isolation of Öcalan is contrary to Turkey’s own constitution and to international human rights law. His ideas have inspired women and men in the Middle East to struggle for a life rooted in grassroots , multi-ethnic, gender-equal, secular democracy." Asayish (Home security) forces attacked women in hunger strike action in front of the UN. Rete-Jin announced support for the hunger strike campaign aimed at ending the isolation of the Kurdish people’s leader, Abdullah Ocalan. Activist Afghan women sent letters to the Council of Europe and various other institutions for Leyla Guven and Kurdish People’s Leader Abdullah Ocalan. National Swiss Women's Strike Coordination expressed solidarity with Leyla Güven. Women in Amed met once again to support HDP Hakkari MP Leyla Güven. Women who gathered in front of Amed prison to support HDP Hakkari MP Leyla Güven attacked by police. 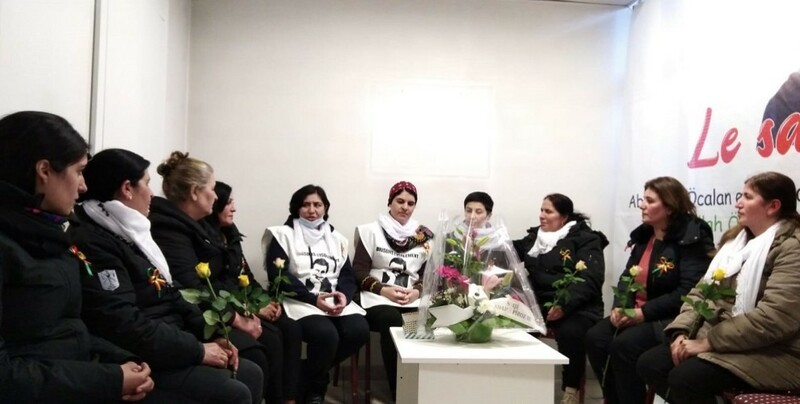 The Mothers of Peace in Rojhilat announced their solidarity with the indefinite hunger strike by Leyla Guven and other hunger strikers in Kurdistan and abroad.